While the price tags of $1,000 and $2,500 are admittedly high for any drinking implement, when you consider what comes along with them, the cost begins to make a bit more sense. First off, the materials and craftsmanship of the cups themselves are definitely worth noting. Each limited edition cup, handcrafted by Louisville jeweler From the Vault, is plated in either silver or gold and comes with a straw of the other. This year’s design is meant to represent “the Best of Kentucky,” featuring the Twin Spires, white barrels, and (of course) a bottle of Woodford Reserve in contrasting metal. Aaaaand they each come in a beautiful wooden box lined with silks just like the ones worn by jockeys, designed by Bourbon Cousins of Cincinnati. 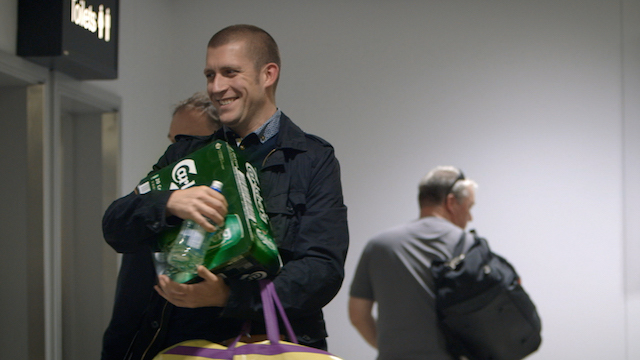 So, yeah, not your typical souvenir. Though the collector’s cup is quite the prize on its own, purchasing one also means helping out a good cause. 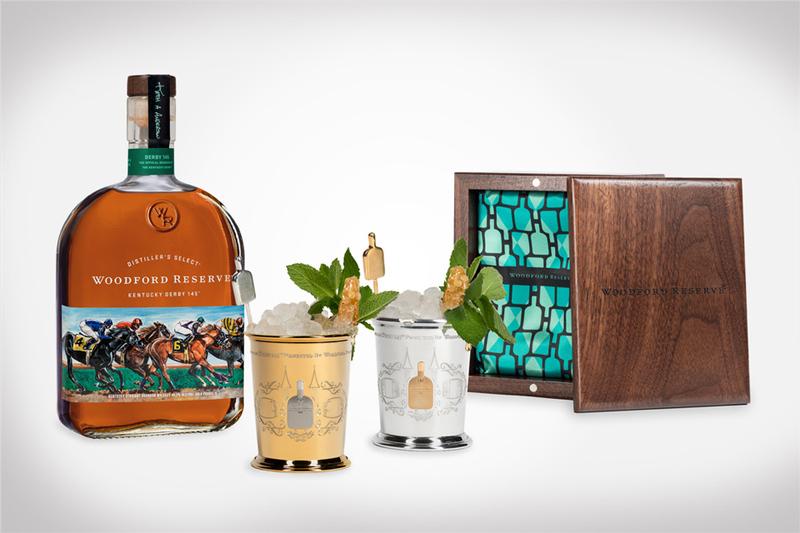 Every year, Woodford Reserve chooses a charity to donate all net proceeds from the $1,000 Mint Julep Cup sales to—so far, they’ve raised over $600,000 for equine and humanitarian causes. This year, they’ve chosen to partner with the John Asher Memorial Scholarship Fund at Western Kentucky University. You can learn more about it here. As I mentioned before, the cups are intended to be purchased by those attending the Kentucky Derby at Churchill Downs as they can only be picked up at The Woodford Reserve $1,000 Mint Julep Cup Experience. Luckily, should they work up a thirst on their walk over, buyers will also be presented with a handcrafted mint julep, made with the recipe below. This year’s Mint Julep recipe includes a truly unique twist — the sweetener for the classic Derby cocktail is Kentucky honey that has rested for 145 days inside an oak barrel inside the famed Twin Spires at Churchill Downs. 2 oz of Woodford Reserve Kentucky Straight Bourbon. Rub mint around the julep cup, expressing the essential oils and place the mint leaf in the bottom of the cup. Drizzle two bar spoons of honey sweetener in the cup, followed by two ounces of Woodford Reserve Straight Bourbon, mixing the ingredients together. Pack ice into the cup, followed by placing the sipping straw. Layer loose ice on top, with a splash of Woodford Reserve Straight Bourbon to settle your drink. Garnish with shaved honeycomb and a sprig of mint.